Hanro's 'Liane' bra is ideal for the warmer months - it's made from stretch-tulle that feels weightless and airy on the skin. 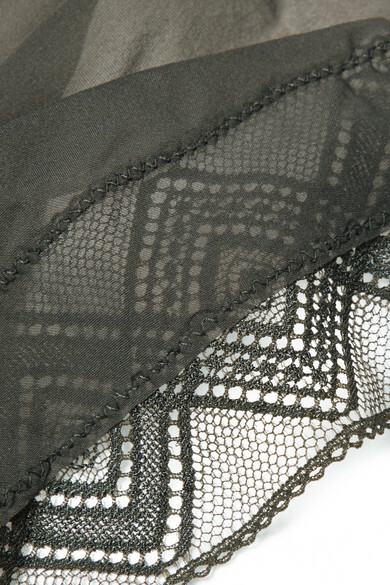 The cups are underwired and prettily framed with smooth lace to give an undetectable appearance beneath your clothes. Wear it with: Hanro Briefs.